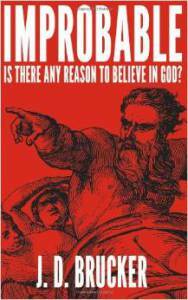 My friend Matthew O’Neil recently reviewed “Improbable” and shared his thoughts on his website. Several months ago, when I had secured publication for my book “You Say That I Am“, I searched for other authors having published with the same group as I. One of them was a new author named J. D. Brucker. And, interestingly enough, he reached out to me first after I started following him on Twitter. It was shortly after we found each other on Facebook and became well acquainted. He posted a review of my book on his blog and I felt it is due time I return the favor. Mostly because I think his book deserved more than the short summary I offered, but also because he, as well as several other authors through Dangerous Little Books, deserve some exposure.